Monday 19th May 2014 – 8.27pm – Murray MacGregor. Two young children have been taken to the paediatric trauma centre after they were in a car involved in a crash in Birmingham. The crash happened at the junction of Sutton Road and Chester Road in Erdington at about 6.35pm. 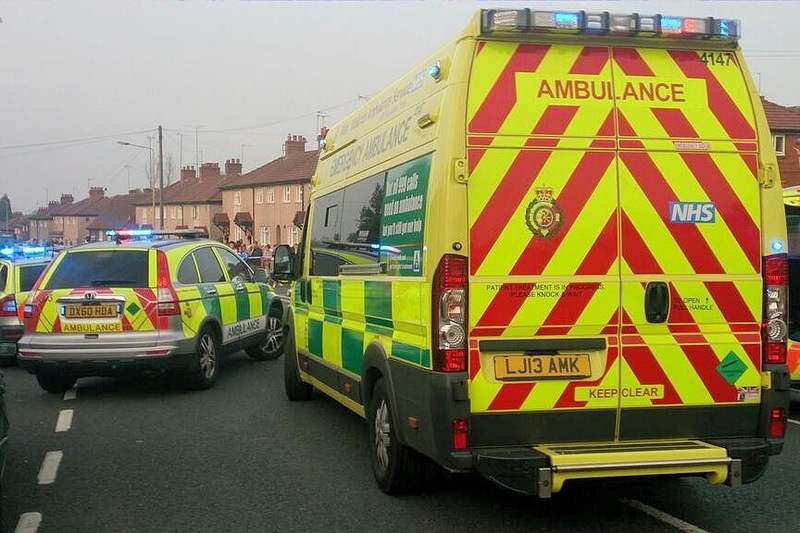 A paramedic officer and another member of staff en route to the Erdington hub came across the incident and started treatment prior to the three ambulances, and a BAISCS Doctor who had been dispatched. Given the initial reports from the scene, the paramedic officer and aircrew from Midlands Air Ambulance from Cosford with the MERIT Trauma Doctor, who had been dealing with another incident in Short Heath Road, about 4 miles away, were also responded to the scene. A West Midlands Ambulance Service spokesman said: “When crews arrived, they found two cars, one with front end damage and the second with significant intrusion to the nearside. “There was a family of four in the second car. Mum and Dad in the front were uninjured. A 5 year old boy had suffered a nasty laceration to his head. After treatment from the doctor on scene, he was taken on blue lights to the paediatric major trauma centre at Birmingham Children’s Hospital. “His 3 year old sister was initially uninjured but developed abdominal pains and was taken to the same hospital.